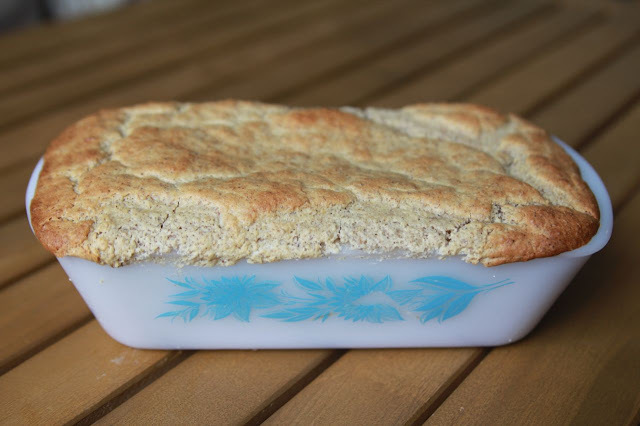 Of course I had to show it off in my super-cute loaf pan that my sister gave me. This bread was PHENOMENAL and really easy. You can find the recipe here. I used Bob's Red Mill All-Purpose GF Flour, and substituted that for the garfava flour, too. I also just used cornstarch for both of the starches.